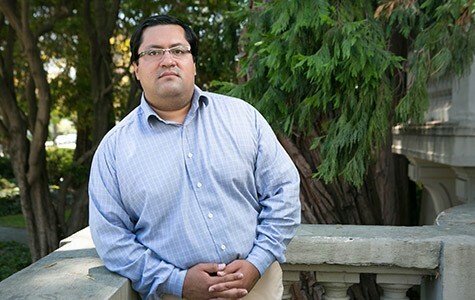 Berkeley Councilmember Jesse Arreguin will square off against fellow Councilmember Laurie Capitelli in next year's mayor's race. Although 2015 was an off year for politics in the East Bay, it's clear that 2016 is shaping up to be a pivotal one for elected offices throughout the region. It could mark the return of a respected East Bay legislator to Sacramento, and it could feature two expensive Assembly races, along with a growing list of challengers to Oakland City Council President Lynette Gibson McElhaney — and, yes, the return of Jean Quan. The Berkeley mayor's race is expected to be a close battle, plus there will be several contested council races in Berkeley, along with contests in San Leandro and Alameda in which progressives could gain some seats amid growing calls to solve the housing crisis. The race to replace termed-out state Senator Loni Hancock in the East Bay's Ninth State Senate District will dominate the June primary season. The frontrunners are long-time former Democratic assemblymembers Nancy Skinner and Sandré Swanson, both strong progressives with significant local support — Skinner in Berkeley and Swanson in Oakland and Alameda. Hancock's husband, Berkeley Mayor Tom Bates, said that while this contest likely will be tight, he thinks Skinner's got the edge, in part because of the huge advantage she has in fundraising. "She's a great campaigner," said Bates, who is backing Skinner. But Swanson has amassed an impressive number of endorsements, including from Hancock. A wildcard could be newly registered Democrat Katherine Welch, a state education reformer and former Republican. The daughter of former General Electric Chairman Jack Welch may be able to tap deep pockets, not only from her father's contacts, but also from statewide independent expenditure groups looking to overhaul California's education system. San Pablo Vice Mayor Rich Kinney, a Republican, is also running for the seat. Alameda County Supervisor Wilma Chan exited the race in late September. In the Seventh State Senate District, covering areas in Contra Costa County and the Tri Valley in Alameda County, state Senator Steve Glazer, who won a bruising special election last May over Assemblymember Susan Bonilla, is not expected to face any serious challenge. Many political observers believed a rematch was in the cards, but Bonilla announced in October that she would not enter what would have been another expensive and difficult election. The race last spring invoked more than $7 million in special interest money. In the Assembly, a majority of the contests feature incumbent Democrats nearing entrenched status. Assemblymembers Rob Bonta of Oakland, Tony Thurmond of Richmond, and Hayward's Bill Quirk are not expected to face any credible challengers. But the same cannot be said for 16th Assembly District member Catharine Baker, the only Republican in the East Bay's legislative caucus. Last month, outgoing Assembly Speaker Toni Atkins, a Democrat, recruited former Pleasanton councilmember Cheryl Cook-Kallio, also a Democrat, to face Baker in the moderate outer East Bay district. Insiders believe the race could be impacted by the presidential election. If Republicans nominate a reactionary candidate, Democrats could turn out in greater numbers in this toss-up district. Bonilla is termed out next year in the 14th Assembly District leaving three Democrats to battle for the West Contra Costa County seat. Mae Torlakson, the wife of State Superintendent of Instruction Tom Torlakson, is facing Concord Mayor Tim Grayson and clinical psychologist Harmesh Kumar. Congressmembers Barbara Lee and Eric Swalwell are not expected to face any serious challengers, but liberal Mike Honda will once again square off in a tough race against moderate Ro Khanna. Alameda County Supervisor Nate Miley is facing a potentially strong challenge from Bryan Parker, the Port of Oakland commissioner who ran a well-funded campaign in 2014 for Oakland mayor. Parker is expected raise significant financing for his supervisor campaign and will give Miley his first real re-election test since Miley first won a seat on the board in 2000. Supervisors Scott Haggerty and Keith Carson are also up for re-election in June, but challengers are not likely. 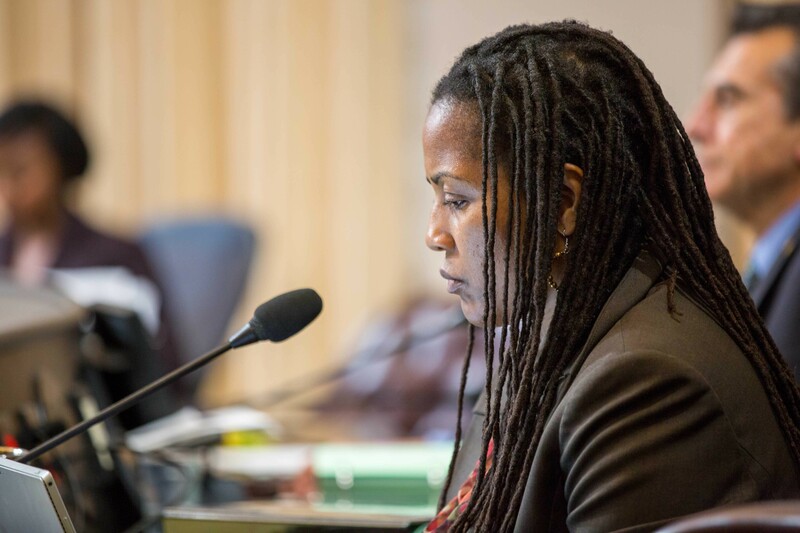 Oakland Councilmember Lynette Gibson McElhaney will likely face at least one challenger next year.. In January 2015, city councilmembers elected Gibson McElhaney to be council president after she had served just two years in office. But of the four contested council races in Oakland next fall, Gibson McElhaney is so far the only incumbent attracting potential challengers. Former Councilmember Nancy Nadel has indicated that she may run for the District Three, West Oakland-downtown, seat. Tyron Jordan, a legal analyst at the state attorney general's office, formed a campaign committee in October, and at least one of Gibson McElhaney's opponents in the 2012 campaign could enter next year's race. Some political observers think Gibson McElhaney is vulnerable because of her ethical lapses, as outlined in a series of Express investigative stories late last year and early this year. Oakland's At-Large race, however, could end up overshadowing the District Three contest — if ex-Mayor Quan decides to challenge incumbent Rebecca Kaplan. Kaplan has recently taken a larger profile in the city, leading the effort to stem gun violence in Oakland. Some believe that she's worried Quan is angling for her seat. In recent months, Quan has shown through her monthly newsletters a keen interest in offering specific solutions to combat the city's affordable housing crisis. The potential blockbuster race could be hard-fought. In 2014's mayoral race, Quan beat out Kaplan for first-place votes, but ranked-choice voting showed Kaplan had greater citywide support.